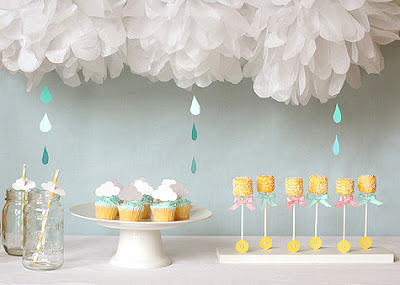 I first fell in love with a rain themed party when I saw this rain shower themed baby shower by Lisa Storms. 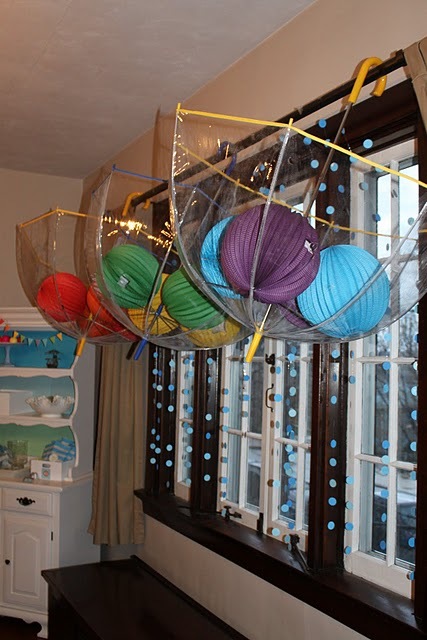 And now Jenny from Crossing the Bugger-Dixon Line has taken the idea to a whole new lever with this colorful April Showers birthday party. There are so many fun pieces to this party. The rain boots, the paper straw garlands, the raindrop streamers. 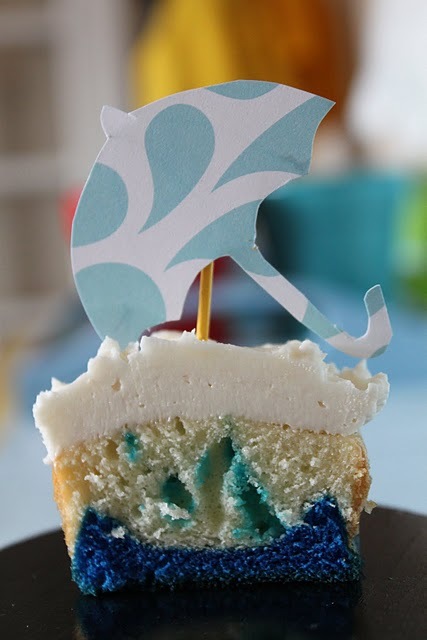 But what I think is the most amazing part are these rain puddle cupcakes. Aren't those crazy! I love them. You can check out the rest of this amazing party HERE. I love this theme! Her rain garland is adorable. Great theme and those cupcakes look great inside. The rain boot cookies are cute too. Thank you so much for sharing my party with your readers! I had SO much fun creating this party! Such great ideas. I love the rain theme...it's unique without being too "out there." Thanks for sharing! Stashed all this in the memory bank! Seriously, are we sharing a brain? I'm sitting here doing a post with the EXACT same parties. I'm not copying, I promise!! :) They are all so amazing! I even have a kid with an April birthday...too bad I don't like him. Darling. 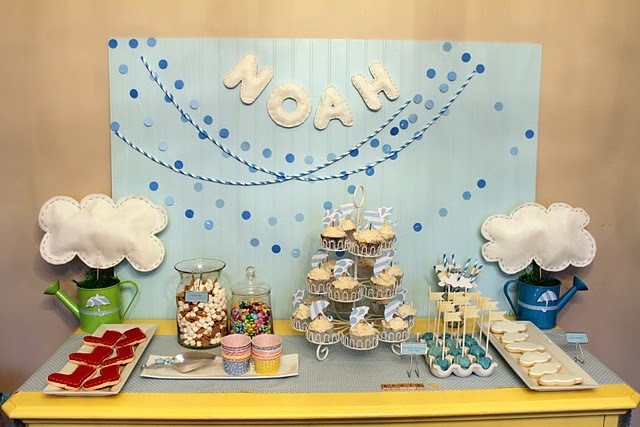 I threw a cute party last year and took tons of pictures but haven't even posted them on my blog. Honestly, it was almost a whole year ago. Isn't that sad. I wish I had an April baby so I'd have an excuse to copy these party ideas. I don't have anything interesting to say! But I will if you take me to Kentucky.